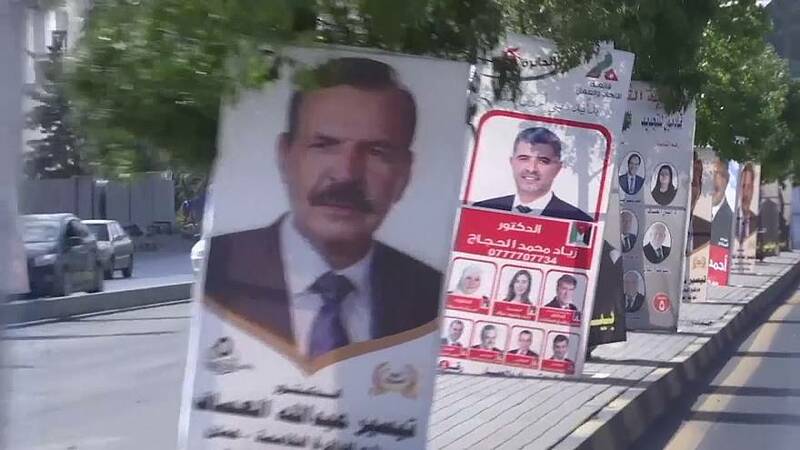 The people of Jordan are voting in parliamentary elections under a new system which it is claimed shows the pro-Western monarchy is bringing in democratic reforms. The vote comes amid a background of regional turmoil, a struggling economy – and cynicism among many Jordanians who see the parliament as a tool of a self-serving elite. New electoral rules are designed to encourage political parties via a list-based system, replacing one-person-one-vote which proved controversial. International observers including from the EU are monitoring the election which critics say still favours the king and his traditional tribal supporters. The vote sees the return of the main opposition, the political wing of the Muslim Brotherhood, which had snubbed the last two polls. It is running as part of a broader coalition under a slogan of reform. “The top issues are economic, social and educational – and ending corruption cases and privileges which put a strain on all government departments, including the ones responsible for solving the country’s problems and ending its crises,” said “Reform List” candidate Murad Adayleh. The Brotherhood’s coalition candidates include women and representatives from Jordan’s small Christian community. Jordan is reeling from a refugee crisis from neighbouring Syria and unemployment is high. Although officials stress the election’s importance, many Jordanians are apathetic. One poll suggested 87 percent of people thought parliament had achieved nothing. More than half said they probably would not turn out to vote.